Pregnant with nine puppies, Daya the dog ended up in a South Carolina public shelter after she was found wandering the streets alone. 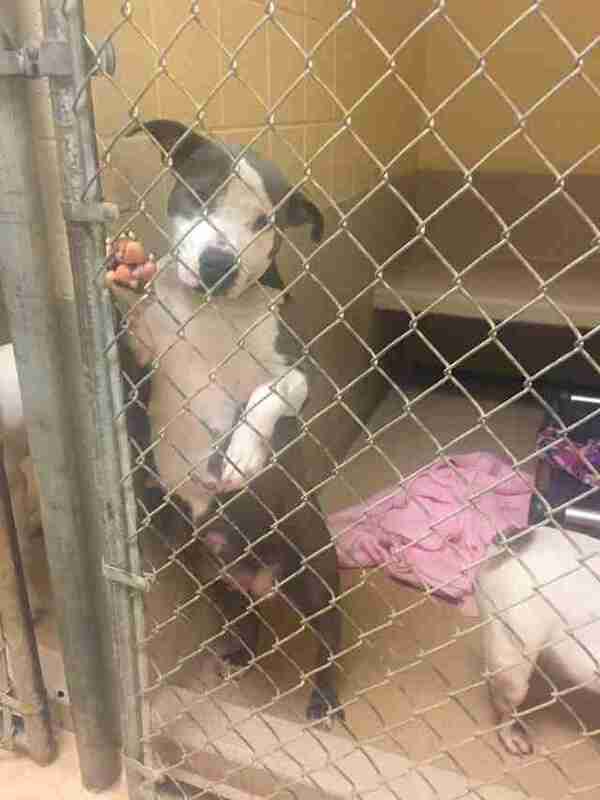 But the shelter was overcrowded, and Daya was at risk of being euthanized. So Halfway There Rescue stepped in to arrange for a foster home where she could comfortably deliver her puppies. 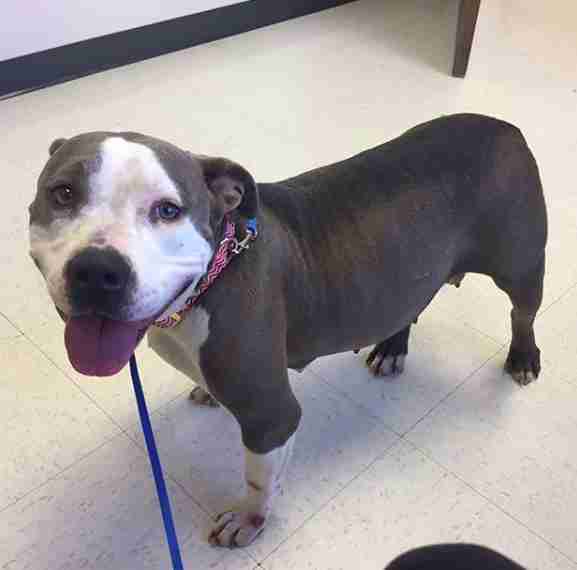 Her rescuers brought the 3-year-old dog to the vet for a checkup — where they were hit with heartbreaking news. 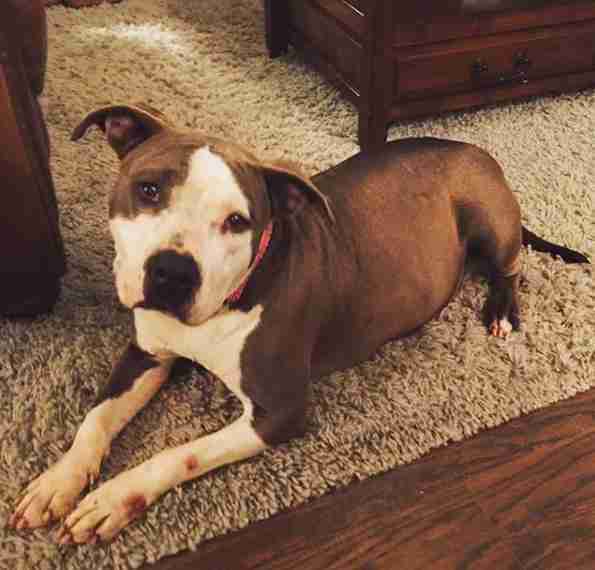 The surgery saved Daya’s life, but it soon became clear that she wasn’t handling the loss of her unborn puppies well. 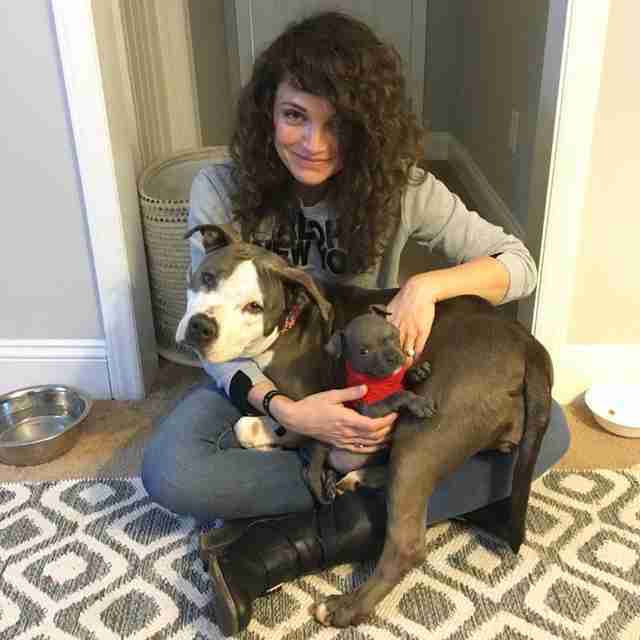 As she settled into her foster home, Daya’s motherly instincts were still in full swing. She began picking up toys or socks and lying with them or cleaning them as if they were babies. She brought them everywhere she went, desperate for the comfort of having something to take care of. 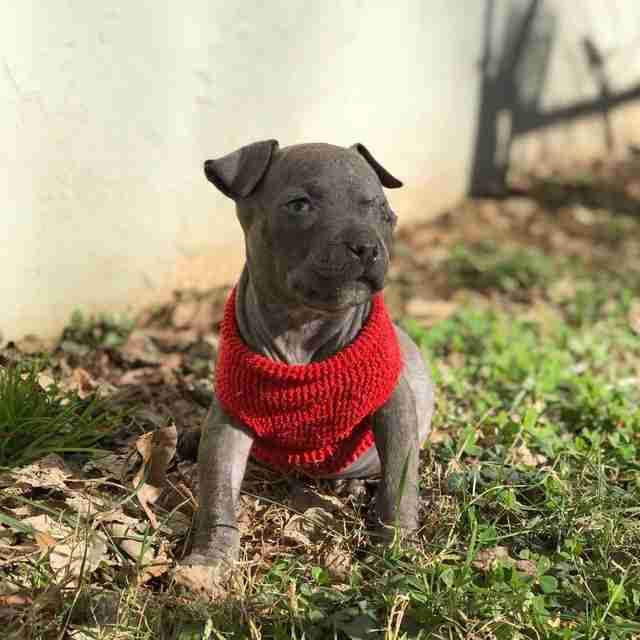 Three days after Daya’s surgery, the rescue got a call about a female puppy who had been abandoned on the side of the road. She had parasites and skin infections and had just gotten out of emergency surgery to remove one of her eyes, which had completely ruptured. And now, she needed a mom. 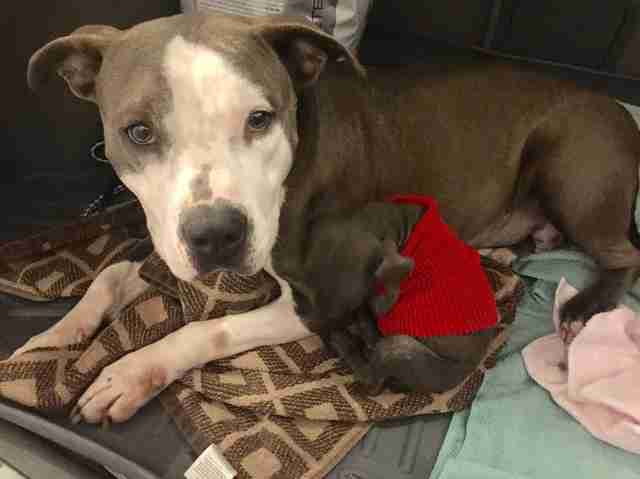 “Everyone knew that the puppy could survive with human intervention alone, but we had hopes that she could have the mama she was missing,” Werner said. 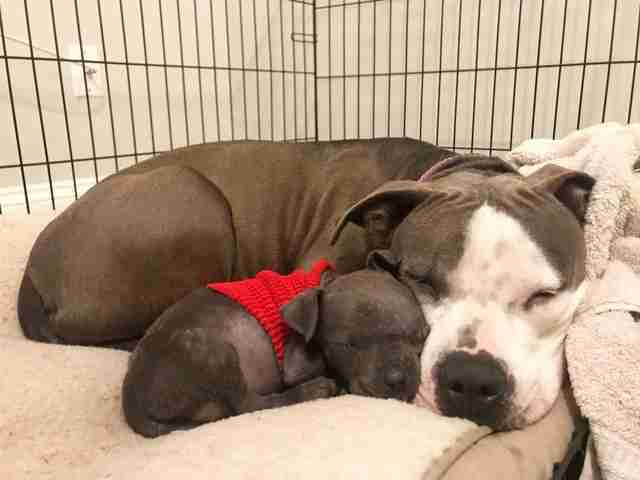 The vet team that was taking care of the puppy, named Raisin, brought her in to meet Daya — and within just a few hours, they had bonded so strongly they wouldn’t leave each other’s sides. Since the day they met less than a week ago, Daya and little 6-week-old Raisin haven’t strayed very far from one another. 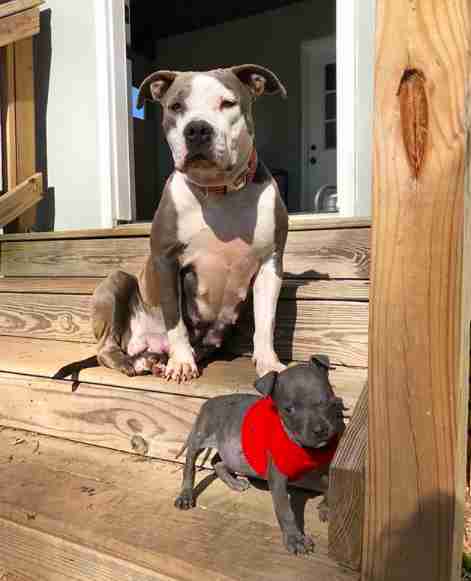 From snuggling up for a nap to hanging out in the sun, they’re continuing to heal from their surgeries together — and will soon be available for adoption. If you’re interested in adopting Daya or Raisin, you can find more information on Halfway There Rescue’s adoption page.